Valiant’s BRITANNIA #4 Conquers Again With A Second Printing in January! 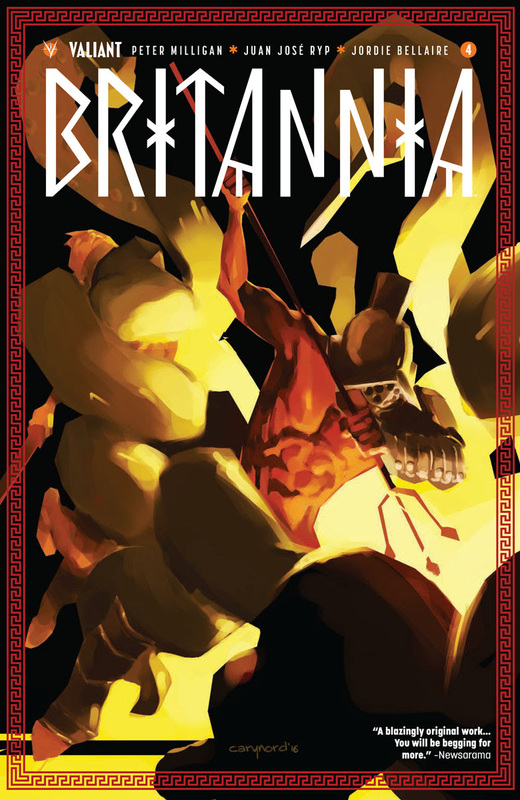 Britannia continues to be a hit, even after it finished with its landmark final issue. The 4th issue will be getting a reprint from Valiant on January 25th, 2017. Britannia follows the “first detective” Antonia Axia as he is to help Rome reassert control of the title named land from all kinds of mystical creatures. An awe inspiring looking into Valiant’s past. As Valiant’s magnum opus enters its 10th astonishing printing, don’t miss your chance to experience the bone-crunching finale to this season’s runaway hit! Valiant is proud to announce that BRITANNIA #4 (of 4) – the fearsome final chapter of Valiant’s prestige format epic from comics master Peter Milligan (Detective Comics, X-Force) and incendiary artist Juan Jose Ryp (Ninjak) has sold out at the distributor level and will return to store shelves with the BRITANNIA #4 (of 4) SECOND PRINTING on JANUARY 25th! Fans and critics everywhere have decreed it so: Valiant’s uncanny supernatural epic is a comics triumph! Antonius Axis may be bringing his first spirit-chasing case to a close, but the rise of civilization’s first detective has only just begun… On January 25th, join acclaimed creators Peter Milligan and Juan Jose Ryp as they conjure an encore presentation for one of 2016’s most acclaimed new series with the BRITANNIA #4 (of 4) SECOND PRINTING!